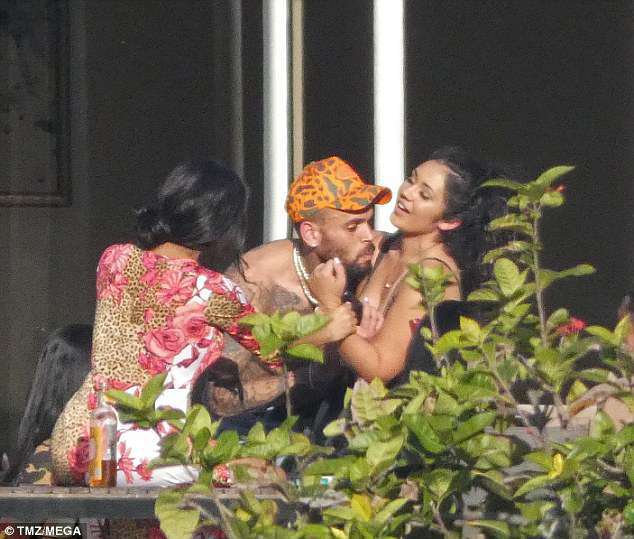 Chris Brown Grips Hands Around Woman's Neck - Both Say It Was Playful - You Be The Judge! 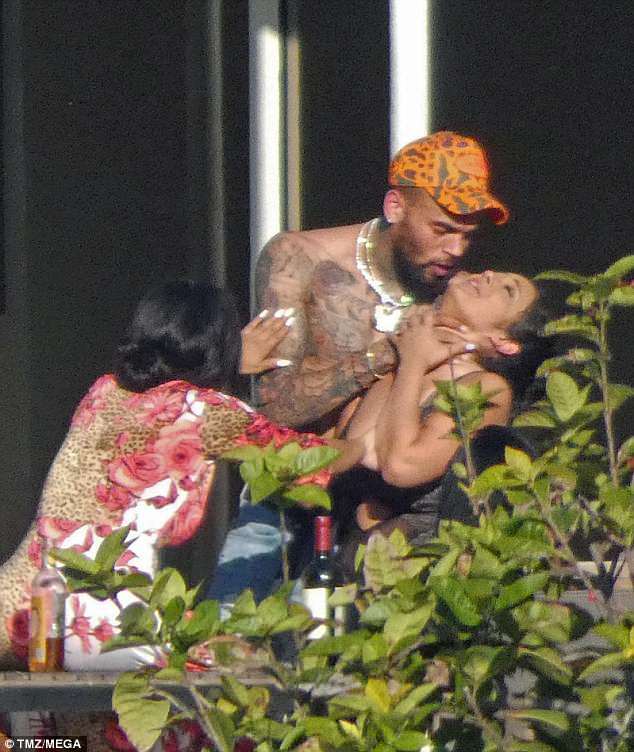 Chris Brown has courted controversy yet again, after being photographed seemingly choking a female friend. 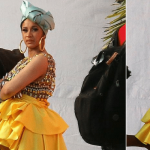 But the ‘Run It!’ singer claims the moment was a lighthearted moment of horseplay. The curious pics were taken in Miami on Monday morning. 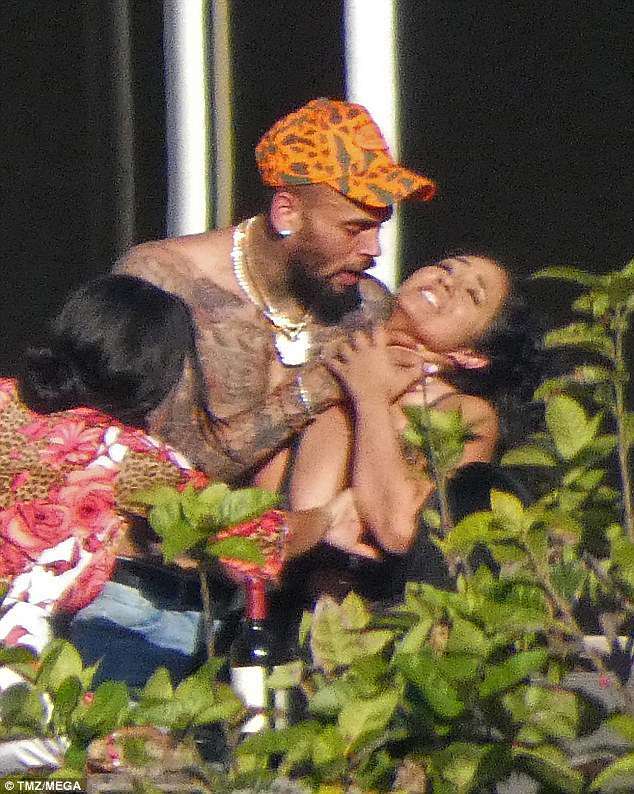 The R&B singer is seen with his hands around the woman’s neck as another guest appears to try and intervene. 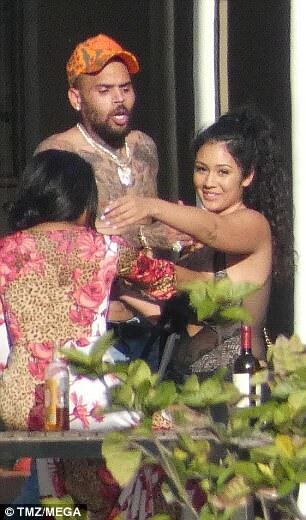 The woman seems to be distressed in several of the images but later smiles as Brown, 28, releases his grip. The Grammy winner was pictured with group of friends. He is reportedly staying at a rented home in Miami during the Ultra Electronic music festival in the city. 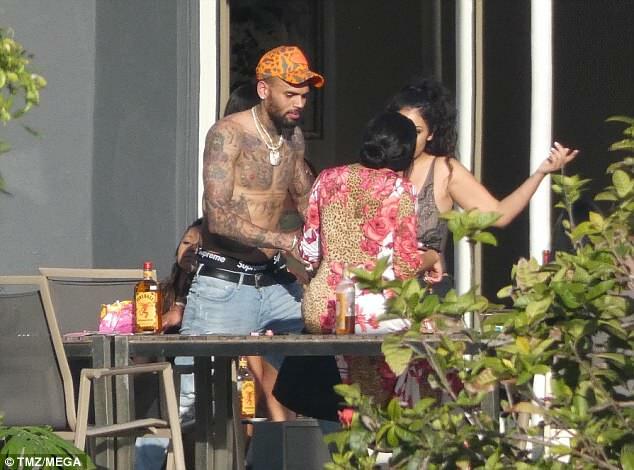 In the shocking pictures, Brown is seen shirtless wearing jeans and some chains around his neck. He sports an orange patterned cap. He stands behind his friend and grabs her by the throat while saying something. 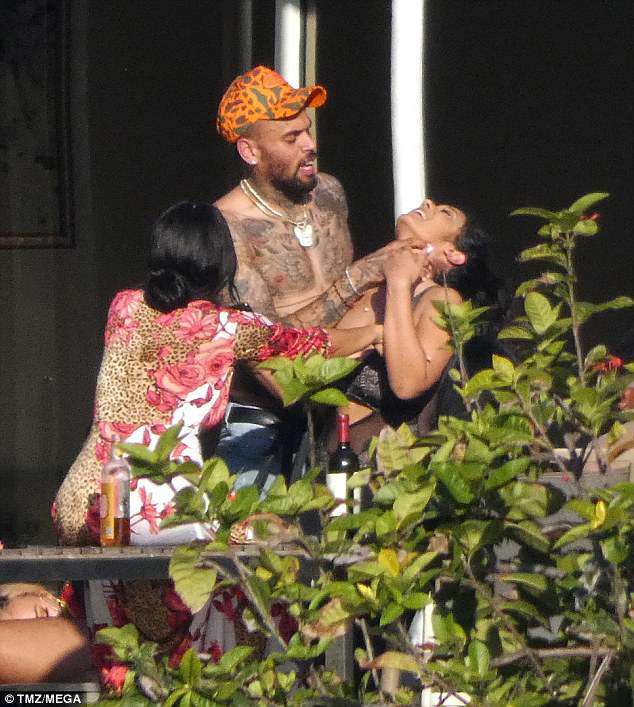 Brown pulls her head back and reaches up placing her hand on top of his. As the incident unfolds, a woman dressed in a floral dress, sitting on a nearby table, reaches over to try and break the pair apart. 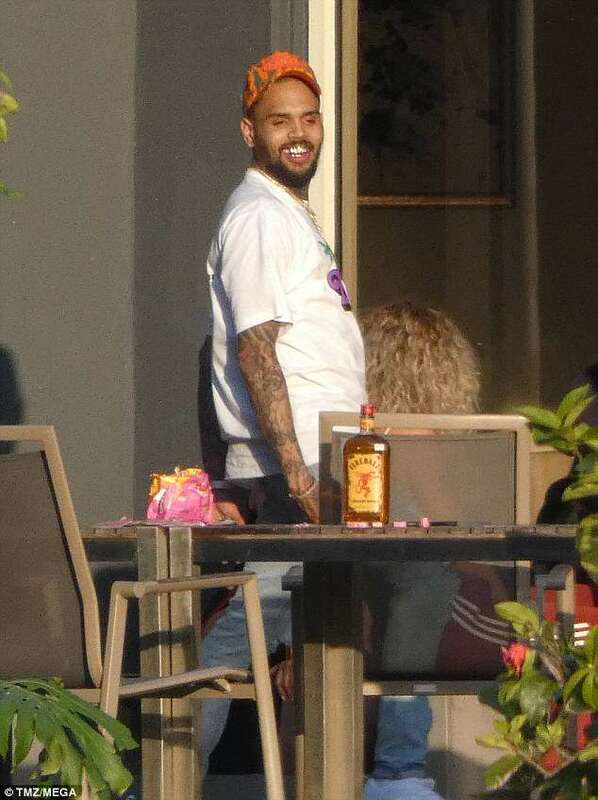 The Loyal singer was convicted of felony assault against ex-girlfriend Rihanna in 2009, after they got into a fight after a pre-Grammys party. Since 2009 the star has been in and put of trouble. In January 2013, the Tempo hitmaker was involved in an altercation with Frank Ocean in West Hollywood where he is alleged to have punched or pushed the singer. Then in October that same year he was arrested for felony assault after punching a man outside the W Hotel in Washington D.C. The charge was reduced to a misdemeanor and he entered a rehab center while awaiting sentencing. 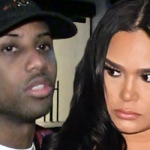 Brown was accused of punching a woman in the face after she tried to take a picture of him in a Las Vegas nightclub in June 2016. 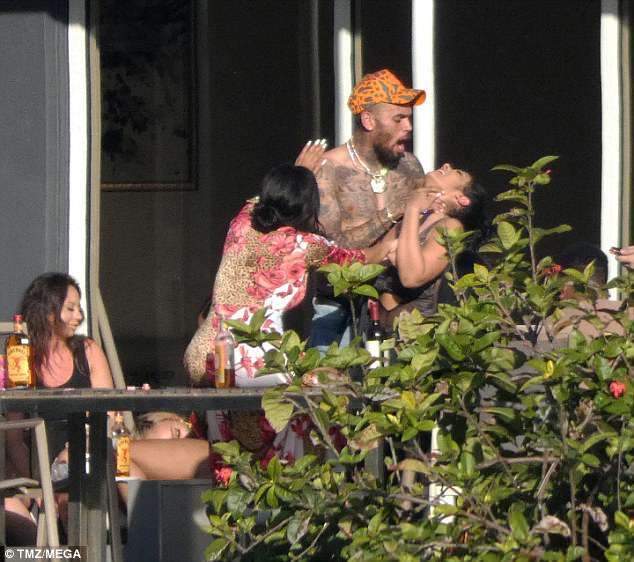 Later that month his former manager Mike G filed suit in Superior Court of the State of California claiming Brown assaulted him in an unprovoked, ‘drug fueled rage’. 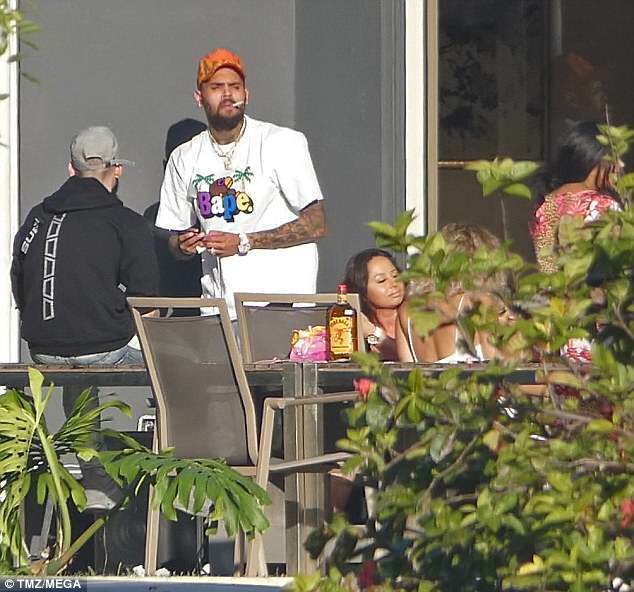 In February 2017, his ex -girlfriend Karrueche Tran was granted a temporary 100-yard restraining order against Brown. She was eventually given 5-year restraining order against the singer.